Osunlade at Casablanca soul Bar ! 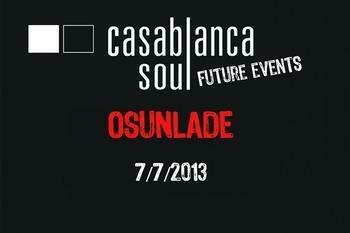 Don't miss the awesome deep and soulful DJ set of Osunlade at 07-07-2013 in Casablanca soul bar. Osunlade is one of the greatest soulful house producers over the past years. He is the founder of Yoruba records and during his musical journey he has produced records for great artists like Patti Labelle and Freddie Jackson! Taste some of his awesome sounds at https://soundcloud.com/osunlade .This is gonna be a 'big' event. Doors open at 23:00.